We have introduced a new Claas radiator to our range. This radiator is a copper & brass version of 7700072868. 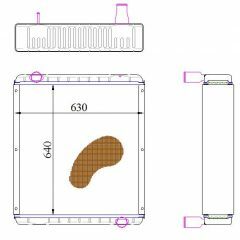 This radiator is for the Axion 800 series (Axion 810, Axion 820, Axion 830, Axion 840, Axion 850) This radiator is now available to order. 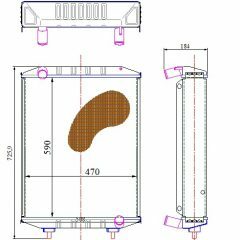 Now available to order, this radiator for a Claas Arion 640 is manufactured from high quality copper and brass. 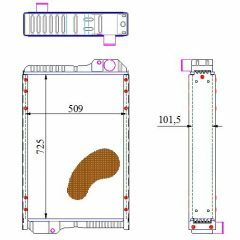 The core size is 630mm x 490mm x 144mm. This can be shipped in a sturdy crate for extra protection. Kale part 10996531. 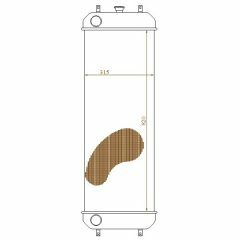 We have added the Ford New Holland 84172100 radiator to our range. This model would be a great addition to any catalogue. 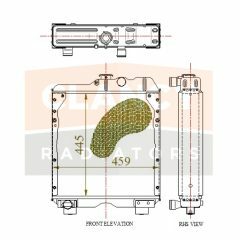 This also covers part number 5099122. 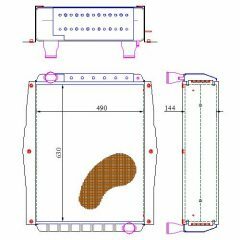 This radiator fits Ford New Holland TD60D, TD70D, TD80D, TD80D PLUS, TD90D and TD95D. 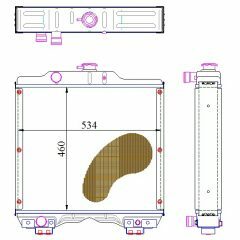 CASE IH, New Holland OE Ref 5172926 radiator. We are pleased to announce the addition of a new model to our range of radiators. The Komatsu A-1771-024-8010. If you are interested in this model or a similar model, please get in touch via our Contact Page or phone 061 419497.